Hollywood is one of the most legendary neighborhoods in America. The birthplace of western cinema, Hollywood is in a constant state of motion. Are you here to start your acting career with a bang? Maybe you’re a producer or a director moving closer to the action. Whatever your business is in Hollywood, you won’t be disappointed by the incredible food, culture, and views offered by this singular neighborhood. 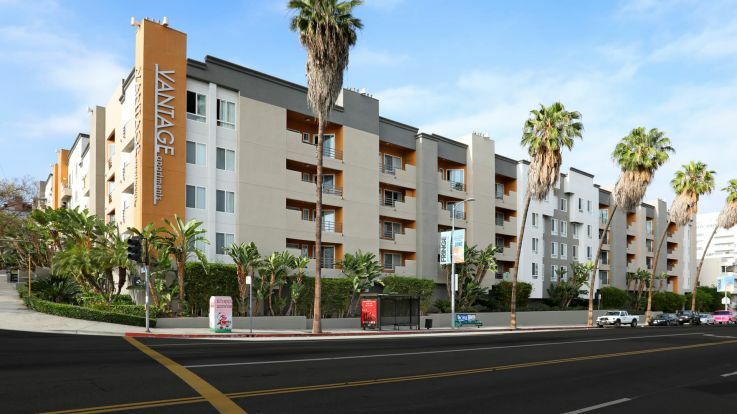 Our Hollywood apartments simply wouldn’t be complete without a pool to stave off that LA heat! Our pool is perfect for swimming laps, and we also offer a hot tub for when you want to take a more relaxed dip. Here at Equity, we live to make sure that you get an apartment that’s perfect for you in every way. Give us a call and we can start getting you ready for your Hollywood apartment with pool.